For tonite’s dinner we are having moroccan chicken over basmati rice and steamed broccoli. Bart walks in, you know Bart, he is my 23 year old son who works the biofuel business with his dad. I hate to dissapoint my boys, especially one like him who works so hard. 12-16 hour shifts driving one of the oil trucks through Maryland and DC sucking oil from restaurants during their dead night hours. It’s dirty work and the boy works as hard as his dad does. I have a chuck steak, only about a pound in the freeze but I know a dish everyone loves. 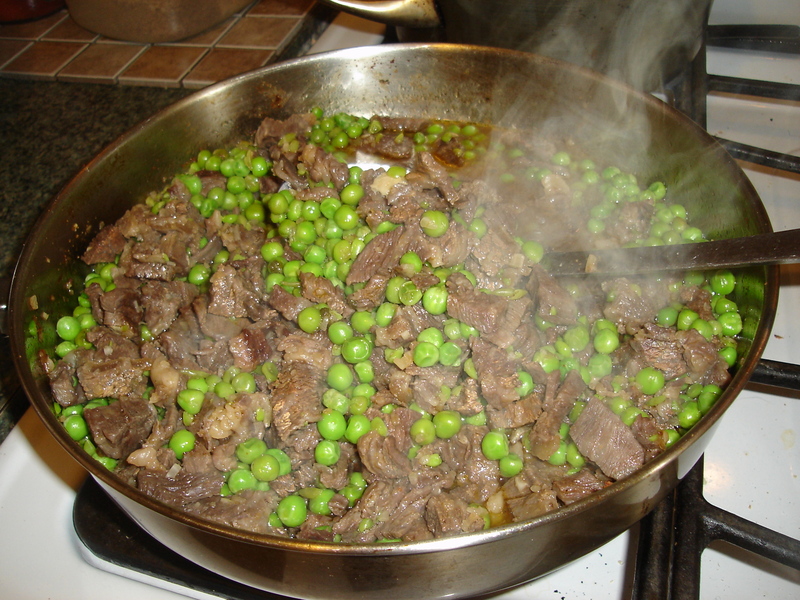 – In a large skillet fry up the steak for 5-7 minutes. – Add in the onion and continue frying for 3-5 minutes stirring occasionally. – Sprinkle on the garlic and seasonall. 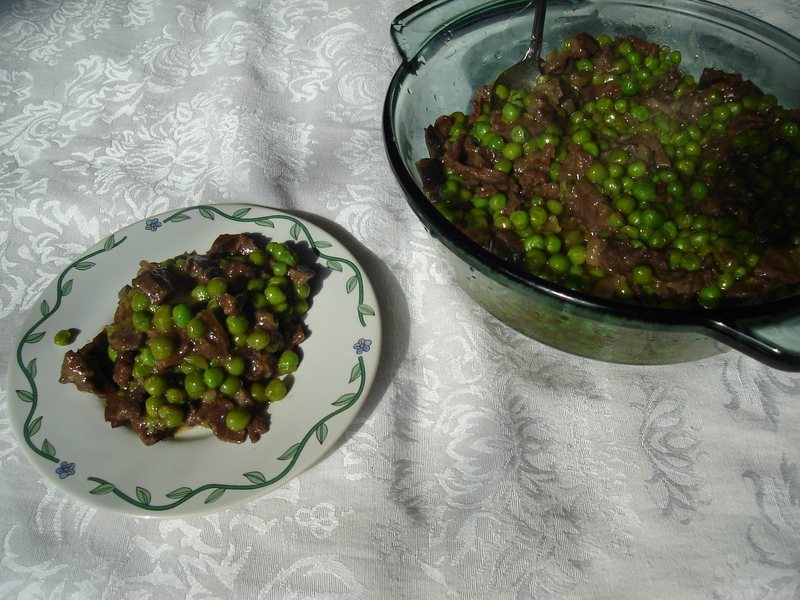 – Pour the peas into the skillet and stir. When peas are heated through pour in the chicken stock.Turn the heat to low. – In a small cup mix corn starch with a small amount of water to form a thin paste. – Add the corn starch to the skillet and stir keeping the pan on a low heat.